Elegance and charm are not the qualities that most people acquire while in their 20s, but at least you can find it in a bottle of Amity Vineyards Oregon Pinot Noir. I had the pleasure of tasting the 1985 Winemakers Reserve from the Willamette Valley at a dinner where numerous legendary Pinot Noir producers were in attendance. 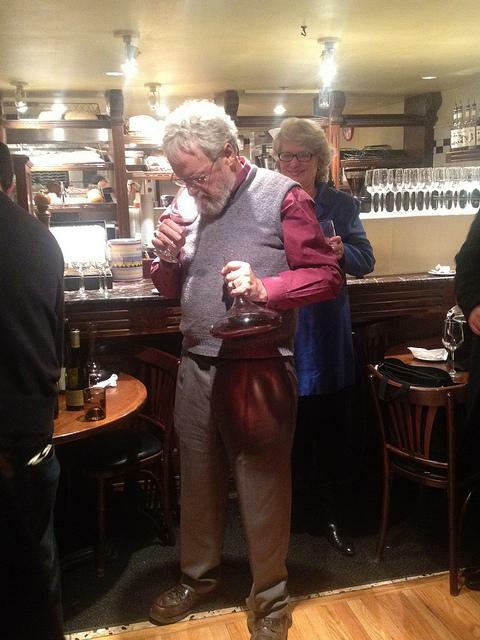 Winemaker Myron Redford, pictured below, fastidiously decanted this fabulous wine. My thoughts were a wine of this age would need to be decanted not because it needed to "breathe" but only to separate the sediment from the wine. I figured it would need to be consumed immediately as post-uncorking it would be on a downward slope. This was a lively, complex, fascinating, and delicious wine. Probably a poster child for why you age wines. 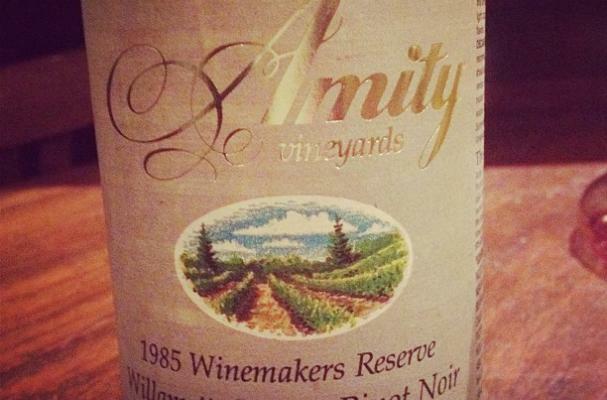 As Myron stated, 1985 was "the best vintage Oregon had for aging wine until 1999." Susan Sokol Blosser of Sokol Blosser emphatically said of 1985: "My all-time favorite vintage in Oregon." Full disclosure: I tasted this wine while on a trip sponsored by the Oregon Wine Board. It probably has a significant price, but 27 years old wine must be worth of it.